The European release for Signs will be on August 25 via Provogue Records / Mascot Label Group. Jonny Lang is pleased to announce a brand new studio album, Signs, which will be released in North America on September 8th via Concord Records. The album (his sixth major label release) is his first in four years. A pre-order for physical goes live today, with digital to follow on June 9. The European release for Signs will be on August 25 via Provogue Records / Mascot Label Group. Jonny Lang will be a part of the 2017 EXPERIENCE HENDRIX TOUR! Every pair of tickets purchased from participating venues comes with the latest Jimi Hendrix CD Machine Gun: Fillmore East First Show 12/31/69. They will be giving away exclusive passes and tickets. Jun 29 Parkpop The Hague, The Netherlands. JonnyLang.FR is looking for european fans to cover the other European Tour shows. Please contact them! 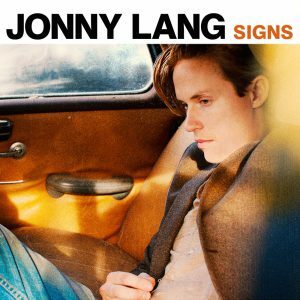 After not being active for almost a decade in Europe, Jonny Lang is announcing his third European tour in the past twelve months. His tour this past October played to standing room only crowds. Lang is also returning for a brief run of shows in the spring including a headline show in London, England at Shepherds Bush Empire on April 25th. Lang’s latest touring plans will take him to many territories he hasn’t visited in years along with making his first ever performance in Poland. Several other major European festival performances will be announced shortly. Tickets for all new shows will go on sale this week. Check www.jonnylang.com for ticket links.